With a generous welcome bonus, compatibility with smart devices, the functionality of a mobile app, competitive odds, no fees for withdrawing funds, live betting odds, and numerous betting opportunities, 1xBit includes a large range of sports to pick from. You can bet on almost any sport and multiply your deposit in no time. Launched in 2015, the 1xBit sportsbook is an online sport betting and casino platform that has teamed up with some reputable software developers like BetSoft, NetEnt and Evolution Gaming to offer casino games to their members. In addition to accepting Bitcoin as a primary cryptocurrency, this website also accepts a large range of other cryptocurrencies to offer more options to users when depositing funds. Apart from betting on your favourite sports, players can also indulge in some live action by participating in lotteries, betting on the financial market and playing jackpots. 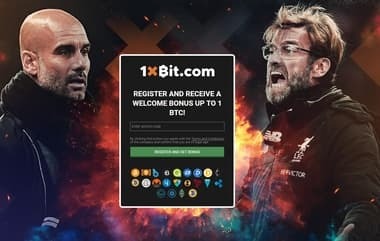 Simply put, 1xBit is a one-stop solution for players who want to bet on a wide range of numerous events, whether sport, casino, or live games. The best thing about 1xBit sportsbook is that it offers a plethora of sports to choose from when placing bets. You can bet on American football, football, basketball, darts, motorsports, tennis, handball, rugby, horse racing and more. Another exciting feature is that players can put stakes on varying tournaments and events for different leagues. Of course, most players prefer betting on popular sports such as tennis, football, cricket, ice hockey, basketball, and cricket. Simply put, 1xBit won’t disappoint their punters when it comes to choosing the sport of choice for placing bets. If you are searching for some special event to bet on other than sports, you can check the betting section that includes events such as television shows, music shows and more. What’s more thrilling is that punters can place bets on live matches as well and the sportsbook has made it easier by offering their members a user-friendly interface. In addition, they have exceptional odds on live betting, which further enhances the betting experience. The primary payment option available on this website for depositing and withdrawing money is Bitcoin. In addition, 1xBit also offers other cryptocurrencies such as Litecoin, Dash, Ethereum, Monero, Dogecoin, ZCash, GameCredits, Bytecoin, Sibcoin, NEM, DigiByte, Bitcoin Gold, Bitcoin Cash, FunCoin, BitShares, Ethereum Classic, and xGOx. You can make a minimum deposit of 1 mBTC. The withdrawal method is quick, does not incur any fees and you can withdraw a minimum amount of 10.00 mBT, and it takes barely 15 minutes for the amount to reflect in your account. 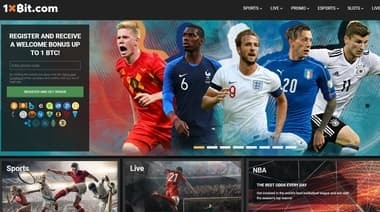 Although 1xBit sportsbook website doesn't have a customer support phone number service to attend to players, they have a 24/7 online chat that is operated by skilled customer care staff. Furthermore, players can get in touch with them through an online form, or by emailing them at [email protected]. If your work allows you to travel, you don’t have to fret when you want to place bets on sports. 1xBit sportsbook has a mobile-compatible website that runs quickly and competently on various types of devices like Windows, Android, iOS and more. The mobile website is easy to navigate in order to help punters search their preferred bets. When you visit the mobile website, you land on the page that displays live-betting and upcoming highlights with stunning graphics. You can use the search bar to make a quick search to find your bets. If you have an Android device, you can make use of the 1xBit android app, which is downloadable and functional. Start Betting On Your Favourite Sport Now! 1xBit is a wonderful website with easy-to-navigate features which makes it easy for bettors to place bets on any sport that they want and has several betting options that other sports betting websites don’t have. Additionally, they have an easy crypto betting exchange and they feature live betting. In short, you will be able to bet on your favourite sports through this website without having much difficulty. If you are looking for a great platform where you can spend and earn manifold, sign up today at 1xBit and see the difference yourself! The 1xBit sports betting website offers many creative bonuses for their new and existing players. Their welcome bonus is quite generous, which is 100% first deposit Bonus of up to 1 BTC. Nevertheless, the bonus comes with a 40X rollover requirement so the player needs to play regularly in order to take advantage of this attractive bonus. Players can make use of this bonus on diverse matches and by placing various types of wagers. In order to gain the benefits of the welcome bonus, you need to make a minimum deposit of 5mBTC. Apart from offering welcome bonuses to newbies, 1xBit sportsbook also offers temporary promotions and bonuses that are usually meant for special matches such as international tournaments. They also include perks for multiple bets, which make staking more profitable and entertaining! The most interesting thing is that 1xBit also offers a bonus for a losing streak if you are not lucky enough. In order to treat their regular members with special rewards, the 1xBit team have included some exciting loyalty rewards and VIP bonuses for their players. The most attractive feature of this sportsbook website is that it offers a bonus to punters on their account balance for placing bets. Whenever you place a bet, your account will hold a certain percentage of that bet as a bonus amount and punters can make use of this exciting feature and place more frequent bets.